NEW YORK — Driven by the 21st Century Cures Act, Food and Drug Administration Commissioner Scott Gottlieb has publicly stated a goal of moving the FDA into the new century by creating a regulatory process that is modern and efficient. It doesn’t seem all that long ago, about 1992, that the Prescription Drug User Fee Act (PDUFA) was passed, allowing the FDA to collect fees from drug manufacturers to fund the new drug approval process. PDUFA must be reauthorized every five years. Upon the latest renewal, this included the Food and Drug Administration Reauthorization Act (FDARA) which incorporates the reauthorization of PDUFA through September 2022. According to the FDA website, PDUFA VI will provide for the continued timely review of new drug and biologic license applications. However, there is prevailing cynicism in the market regarding the FDA’s commitment to a timely review process, given the long delays and date changes imposed on companies by PDUFA. Clearly, the FDA is tasked with significant responsibility, and the need for pharmaceuticals to go through a stringent review process that ensures safe and effective medications should not be underestimated. That said, the industry should be receptive to a streamlined process that leverages current technology, such as artificial intelligence and computer simulation. These technology innovations could possibly bend the cost curve if the cost of clinical trials could be — at least in some cases — materially impacted. • Lower the cost of getting a product to market. • Lower the price, and therefore, the cost, to the health care system by enabling lower cost vis-à-vis lower overall investment cost. Of course, as manufacturers go through the FDA approval process, the clinical trial is not the only investment requirement. As one would imagine, companies — particularly new companies — have other significant costs during their commercialization process, such as setting up their distribution program; attaining state licensing; staffing a commercial organization, which may include a substantial salesforce; developing clinical education programs; and many other activities. A delay in the approval process impacts all of these areas and can cost many millions to a manufacturer outside of the actual FDA approval process. In addition, FDA delays can force manufacturers to make significant layoffs, only to hire again later. The FDA and other regulatory bodies might also look beyond drugs and biologics to devices and e-health products that are approved via the 510K process. Many of these products are highly innovative and bring unique solutions in such high-profile disease states as opioid dependency and substance use disorder. The products, while not drugs, can also address significant diseases that are underserved today, in some cases with no potential for negative impact (i.e., side effects). One example might be gammaCore (manufactured by electroCore), which initially was approved for the acute treatment of pain associated with episodic cluster headache in adult patients, also known as the suicide headache. This product has subsequently attained approval for the acute treatment of pain associated with migraine headache in adult patients, albeit using neuromodulation, these products are therapeutic just like medicines. While discussing issues that require regulatory approval, it may also be time for the Centers for Medicare and Medicaid Services (CMS) to look at how to reimburse for some of these ­products. Finally, it is encouraging to witness the development of the agency known as the Oncology Center of Excellence. This organization holds promise not only to accelerate treatment options, but also to encourage manufacturers to invest in cures for ultra-orphan diseases, such as diffuse intrinsic pontine glioma (DIPG), a type of brain cancer that primarily affects children and leaves them with almost no hope. This serves as an example of a disease where there has been no significant innovative therapy since the 1960s. With a more innovative approach to drug development perhaps more can be done for these types of diseases without having to break the bank in order to get a product to market. Realistically, our world is changing at a record pace, largely driven by technology. Now it is incumbent upon the FDA and others to challenge themselves to create a regulatory approach “that’s as innovative and nimble as the opportunities that we’re tasked with evaluating” — as Gottlieb called for. The other option is for the industry to simply stay the course and continue to outpace the regulatory environment. This will require spending unnecessary time and money, and potentially delay life-saving options for patients everywhere. 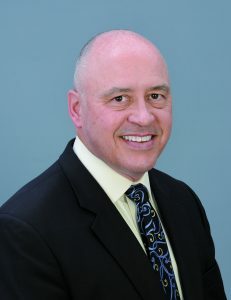 Dean Erhardt is chief executive officer of D2 Consulting.